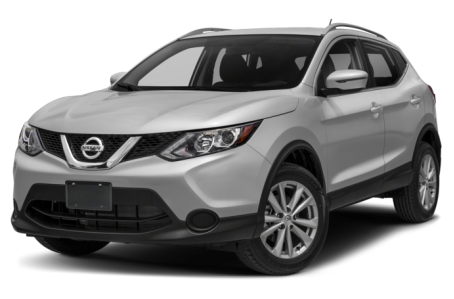 The 2018 Nissan Rogue Sport is a subcompact SUV that seats five passengers. Maximum cargo capacity is 61.1 cubic feet with the rear seats folded down. Behind the rear seats, there is a unique Divide-N-Hide system with discrete storage compartments for smaller items. Powering the Rogue Sport is a standard 141-hp, 2.0-liter four-cylinder engine mated to a continuously variable transmission (CVT). Front-wheel drive comes standard, while all-wheel drive is available.